Organization of the Week: Frederick Fritts Association ~ The History Girl! This week, I am featuring the Frederick Fritts Association. 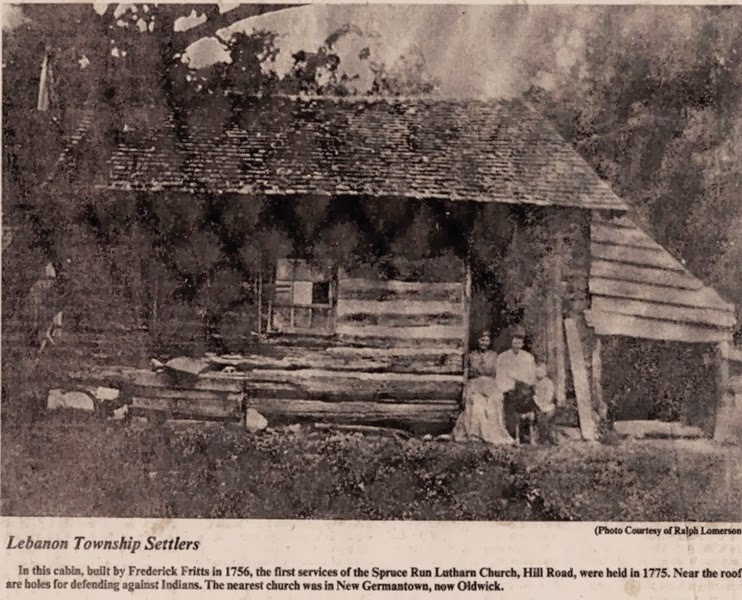 The Frederick Fritts Association consists of descendants of Frederick Fritts (1732-1816) and Cornelia Jewell (1731-1816) who are dedicated to preserving their colonial American family history. The association was founded in 1933 when the descendants of Morris Fritts (1838 - 1910) and Marietta Castner (1836 - 1918) gathered together for a family reunion organized by their granddaughter Anna Fritts Habinger (1885-1974). Interest spread throughout the other branches of the Fritts family and the event grew to attract sixty-six people for a reunion the following year and over 150 for their fourth reunion in 1936. The association meets annually in early fall at the church their ancestor founded, the Spruce Run Church in Glen Gardner, New Jersey. Frederick Fritts and Cornelia Jewell are buried in the adjacent cemetery, established 1775, along with hundreds of other Fritts descendants. The members of the association share a common interest in their family heritage and continue to meet for reunions to celebrate their rich family history and share old family heirlooms/photos, new genealogy findings, and other memorabilia. The association has no set annual dues. Collections and donations are used to fund the minimal expenses required to run the organization as well as projects to maintain cemetery upkeep and to repair the damaged tombstones of their ancestors. For more information about the organization, please contact Lisa Fritts at lfandps@optonline.net or visit their Facebook group here.